Recognizing our decades of experience developing site-specific silica dust control programs, PCI has accepted Midwest Industrial Supply, Inc., into its Premier Partner Program. The Precast/Prestressed Concrete Institute (PCI), the precast concrete industry’s leading trade association, has selected Midwest as one of its Premier Partners. PCI’s decision to include Midwest in this prestigious program reflects our sterling track record as a supplier of road and yard dust control products and managed services. Founded in 1954, PCI is the nation’s preeminent technical institute for the precast concrete structures industry. Over the years, PCI has compiled a robust set of resources and best practices regarding the design, fabrication, and construction of concrete structures, which they’ve made available to all sectors of the precast concrete industry. PCI established the Premier Partner Program to highlight suppliers who offer products and services of substantial value to the precast concrete industry. 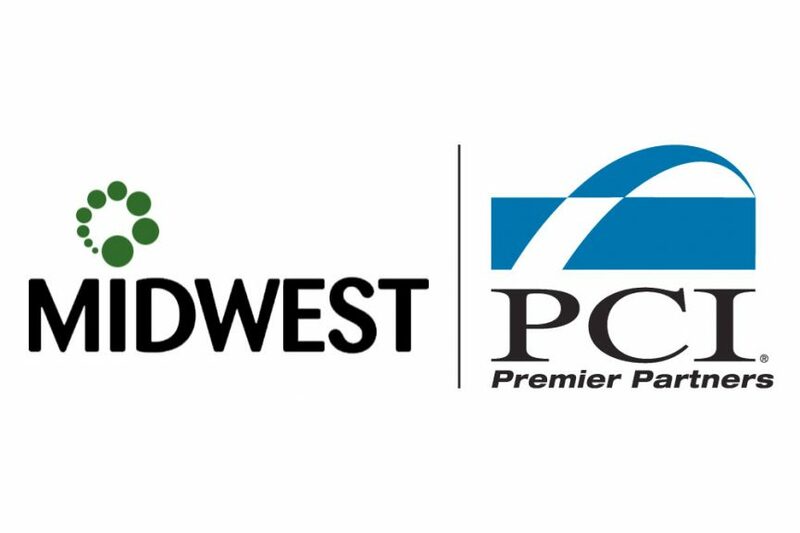 By recognizing Midwest as a Premier Partner, PCI is acknowledging the unparalleled effectiveness of Midwest’s dust control products and managed service programs for precast concrete erectors, manufacturers, and raw product suppliers across the country. As we at Midwest understand, dust is more than just a nuisance when it comes to concrete structures and systems. With these fugitive particles come an array of potential risks, from health and environmental consequences, to the erosion of a worksite. This is especially true in the world of precast concrete. Precast concrete manufacturing worksites are where concrete is cast into a mold, transported, and then put in place. While precast concrete is known to be a durable, cost-effective, and versatile construction material, substances in concrete can negatively impact worker health if the proper precautions aren’t taken. When workers drill, cut, or grind objects that contain crystalline silica, they release respirable-sized (PM2.5 and PM10) dust particles into the atmosphere. In addition to the potential impacts on worker health, these tiny particles can affect nearby ecosystems. The Occupational Safety and Health Administration (OSHA) has recently set stricter limits on the acceptable amount of respirable silica to which companies can expose their employees, and non-complying companies face stiff penalties. As a result, effective dust control on roads and yards at these worksites has never been more crucial. To combat these challenges, Midwest has spent the past 40-plus years establishing itself as the market leader in industrial dust control products and managed services. Working within the parameters set by each site in order to meet each client’s specific needs, Midwest has a long history of developing custom application programs and providing managed services for companies and worksites in the precast concrete industry. Worksites that utilize Midwest’s road and surface dust control products enjoy an array of benefits, such as a reduction in watering and grading, the conservation of resources and materials, improved visibility and safety, better community relations, environmental compliance, greater operational efficiency, and of course, worker protection from silica dust. The results speak for themselves: Midwest’s dust control products and managed services consistently outperform traditional watering methods. We’re hopeful that Midwest’s inclusion in PCI’s Premier Partner Program will bring further attention to our line of innovative, effective, and environmentally-friendly dust control products. Midwest is proud to work together with an authority in the precast industry like PCI to provide the resources, techniques, and expertise needed to ensure worker protection from silica dust and create safer, more efficient worksites around the world. Midwest is exhibiting at the PCI Tour in Bloomington, Minnesota, from September 18-20. Stop by to see us and let’s talk silica dust control for roads and yards. For more information, read our press release on the announcement. Lynn Cielec is the Industrial Business Unit Manager at Midwest Industrial Supply. She is an experienced executive sales director with a proven track record of results and sales growth. Effectively utilizes consultative selling methodologies within a CRM system while incorporating other value based selling tools. Expertise in building and leading high performing sales teams, strategic planning, P & L management, new business development, compensation development, market/trend analysis, new product launches and multi-sales channel distribution.